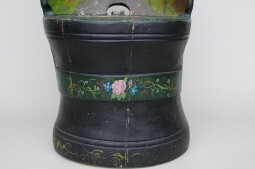 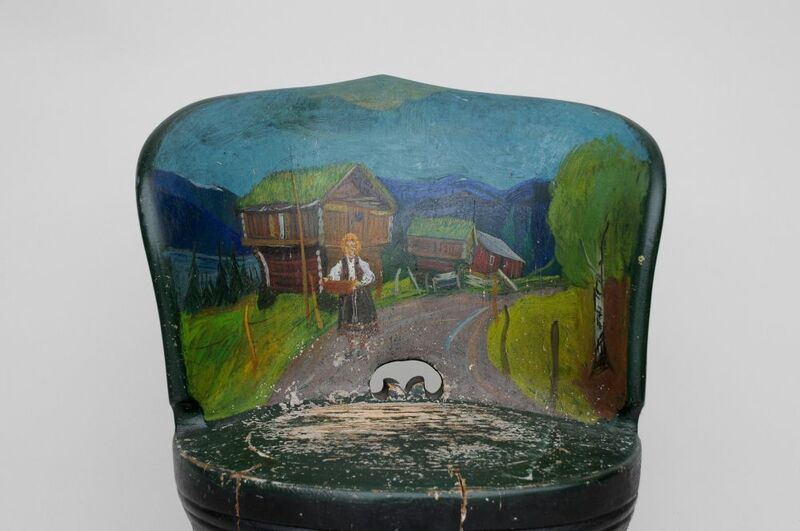 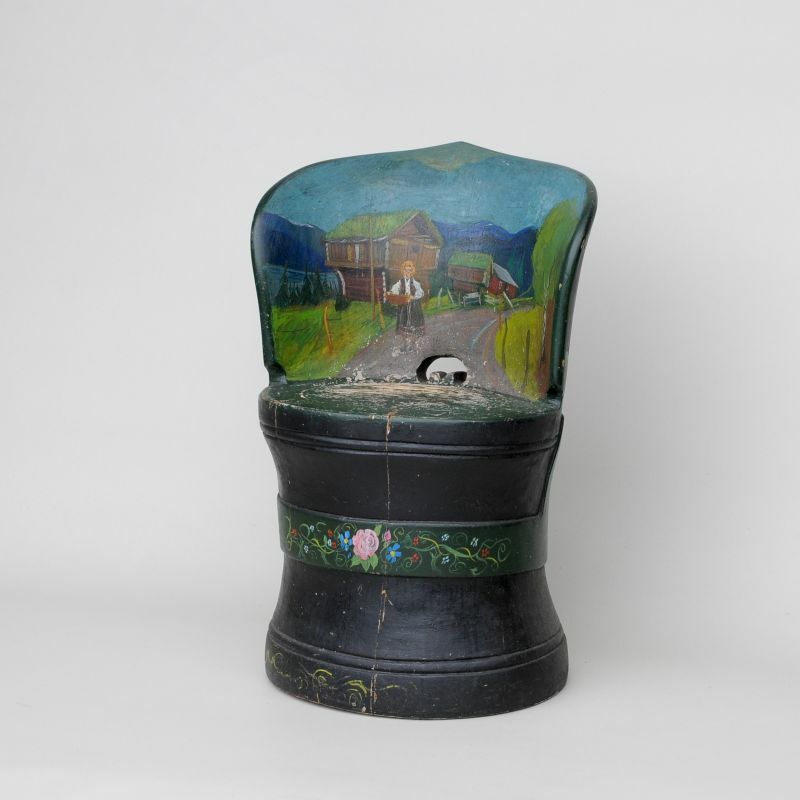 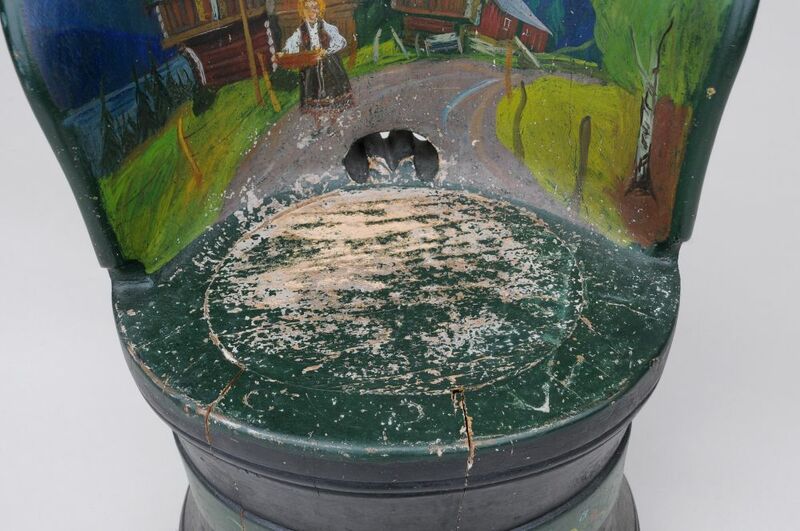 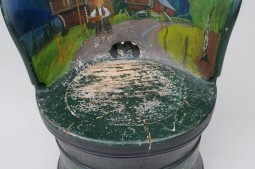 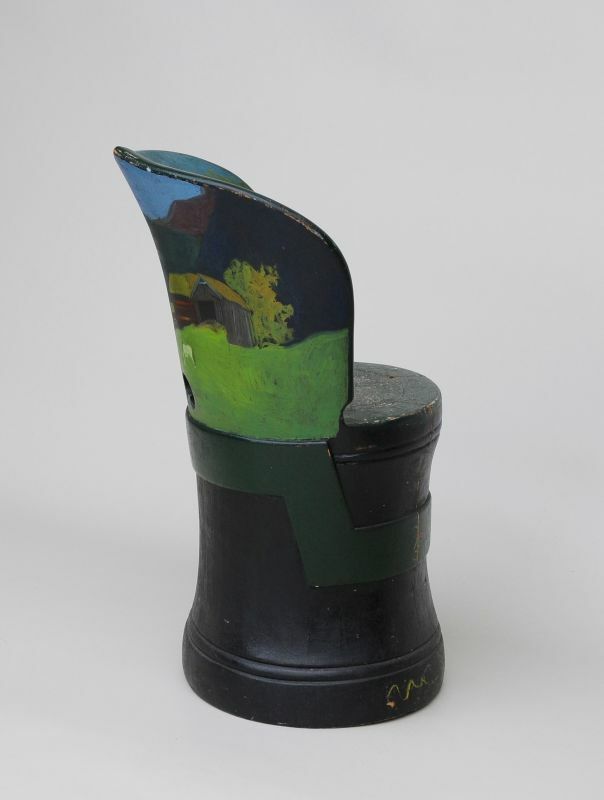 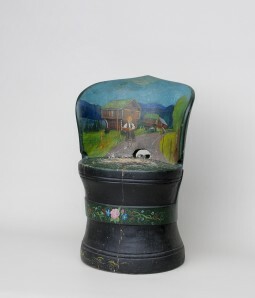 A quirky chair hollowed out from a tree trunk, carved to shape and then hand painted in a naïve style, featuring scenes of Norwegian country life. 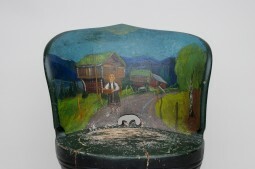 It’s difficult to date, but it’s probably from the mid 20th century. 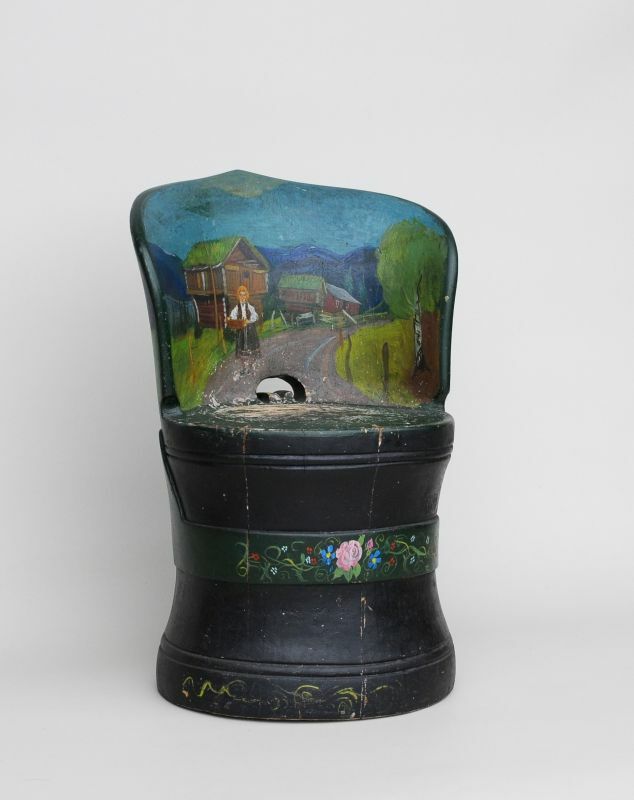 Could be used as a hall chair for tying your shoes on, in a living room as an occasional chair or in a bedroom to throw your clothes over. 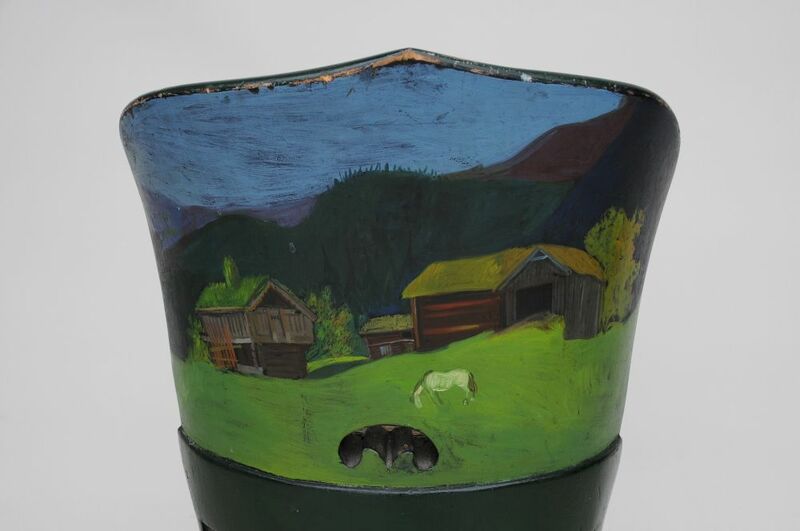 As for condition, it is typical for solid wood pieces to have shrinkage cracks, but all is stable now. 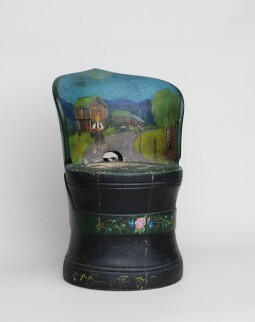 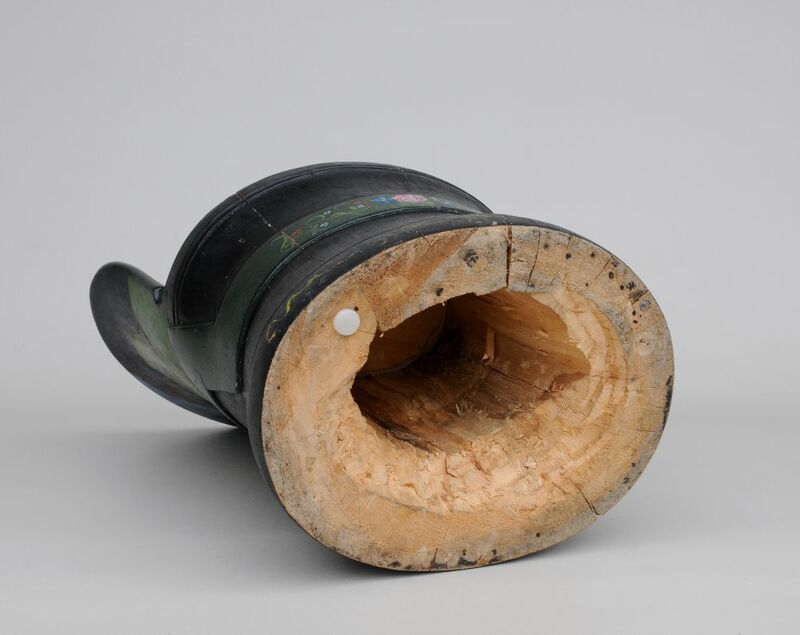 The chair is 52 cm wide, 45 cm deep and 74 cm high.